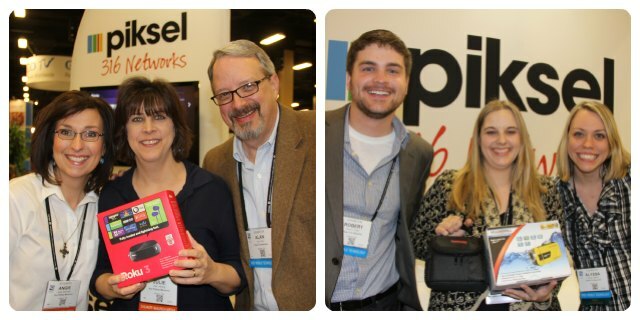 Piksel 316Networks descended on Nashville, TN making a huge splash at the National Religious Broadcaster's International Christian Media Convention (NRB). NRB brings together thousands of Christian communicators, from program producers to authors and pastors to engineers. Our team was on hand to show attendees how to grow their audiences using video. Our booth stood out amongst the hundreds of exhibitors, being modern in design, open and inviting, bearing a bright array of Piksel colors. Across all of the solutions we had on display, we showcased content from Sugar Hill Church a local church in Sugar Hill, Georgia. With a lot of foot traffic in the two and a half days of the convention, many people were fascinated by the Digital Church ecosystem and were interested in how they could expand the reach of their message in a similar way, especially with digital signage. 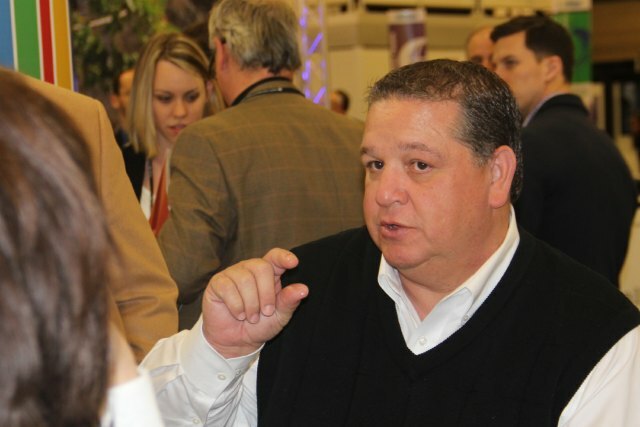 Pastor Chuck Allen from Sugar Hill Church at NRB's Piksel booth. Luckily we had Pastor Chuck Allen from Sugar Hill Church available on Day 2 of the show. He was bursting to tell anybody and everybody how he had recently begun working with us to expand the reach of his mission through tools such as online streaming video, digital signage, mobile apps and a Roku channel for his church. One of our customers, Gospel for Asia was also at the show, spreading the word of their new documentary Veil of Tears. Debuting in US theatres on March 28, 2014, the film tells the untold story of millions of women who are culturally persecuted based on their gender in Asia. The film was shot on location in India and we look forward to the release. We held a prize drawing each day on-booth and are pleased to announce that Ron Phillips Ministries walked away with their very own Roku set-top box (pictured below), Christina Sheer from Bethel World Outreach Church won a camcorder set (pictured below), and Truth in Action Ministries won a Kindle Fire. Congratulations to each of you we hope you enjoy your prizes! On March 3, 2014 we will draw one winner for our Grand Prize- a year's subscription to Piksel OVP. Piksel gives away prizes at NRB to Bethel World Outreach Church and Ron Phillips Ministries. We also caught up with our friends at Lifeway, in particular Ed Stetzer for a video interview stay tuned to see that in the coming weeks! All in all it was a busy but successful few days in Nashville for NRB and we can't wait to play an even bigger part at the event again in 2015.